Uptown Theater, Kansas City, Missouri. Circa 1976. Al was opening for Weather Report. 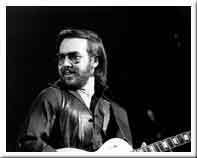 For another photo of Al Di Meola, check my Return to Forever page.